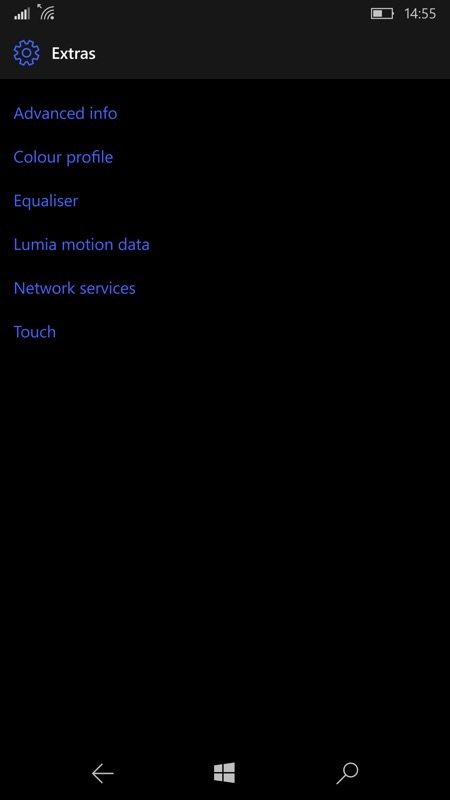 Did you know that your Lumia smartphone had an equaliser built-in? Possibly. But did you know that a) it doesn't only work with Groove Music, it works system wide, and b) it also works with the speaker on your phone and not just headphones? While this wouldn't be that notable on phones with a decent enough speaker, the Lumia 950 XL, in particular, has an unpleasantly tinny component (I went into detail here). Begging the question, can a little tweaking save the day? The difference the EQ tweak makes is even more pronounced when you switch backwards and forwards between your new custom preset and the 'none'/flat EQ as shipped by Microsoft. It's not 100% clear whether the 950 XL's speaker properties are designed by Microsoft to give cutting middle frequencies that will work well in, for example, a car, for Maps instructions or phone calls, or whether the speaker is simply not very good. Let's give Microsoft the benefit of the doubt, anyway, in the knowledge that we now have a decent workaround for speaker fidelity. 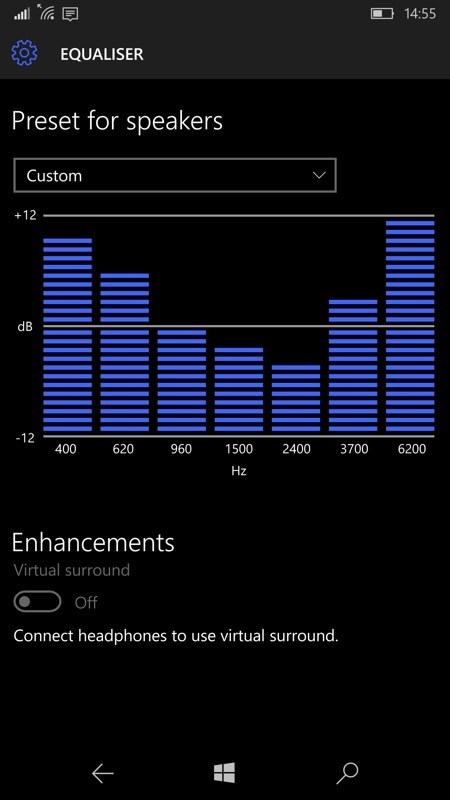 Diving into Settings/Extras on a Lumia; (right) a drastic EQ change for the Lumia 950 XL speaker!! Of course, all the EQ fiddling in the world won't get a speaker more than a few percentage points up in the overall scheme of things, but every little helps, especially if, like me, you've decided that the 950 XL is the device to stick with for now, steadfastly on the Fast Insiders Ring, but keep getting put off by the tinny speaker. No longer quite as tinny, then! The 'preset for speakers' has no effect on the preset setting for headphones, they're kept entirely separate. So you're not going to mess up your preferred headset set-up with this tweak. I've referred to 'Lumias' above because Windows 10 Mobile, out of the box for OEMs, doesn't include a system-wide equaliser, unless I'm mistaken? Comments welcome if you can suggest other equaliser utilities - what limits do they have under Windows 10 Mobile?